Though he's dropped a few new songs here and there, lately Chance the Rapper has been busy getting married to his longtime partner Kirsten Corley and supporting Chicago mayoral candidate Amara Enya. Back in February, Chance announced via an Instagram video that he's been working on plenty of new music and plans to release another album in July (his manager Pat Corcoran confirmed the month of the album's release). While we don't know exactly when in July Chance's new album (he's referring to it as an #owbum) will drop, the Chicago rapper is already starting to reveal his post-release plans. In a series of tweets posted this morning, Chance announced a string of cities where he plans to headline concerts after his new record hits the streets, including New York, Atlanta, L.A., Seattle and Miami. According to his tweets, Chance isn't just planning to play a concert in Chicago—he'll be headlining a festival. Lollapalooza's newly released lineup rules out a return appearance from Chance, at least in a headlining capacity (we're almost positive that he'll show up to perform with his friends). 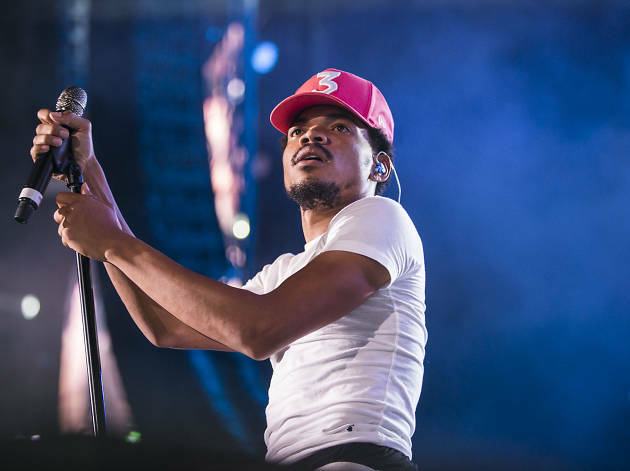 The only other Chicago music festival that takes place after July and is big enough to host a set from the famous rapper is Riot Fest, but Chance probably won't wait until September to play his hometown. That means that Chance is likely planning to organize and host his own festival, much like the Magnificent Coloring Day event that he put together at White Sox stadium in 2016 to celebrate the release of his Coloring Book mixtape. Where and when will Chance's latest festival (Magnificent Owbum Day?) take place in Chicago? Chance managed to sell out all 40,000 seats at the home of the White Sox back in 2016, and his popularity has only risen since. At this point, even a venue as large as Soldier Field (61,500 capacity) may not be big enough, though it could be the best choice, unless Chance manages to rent out the largest field in Grant Park. 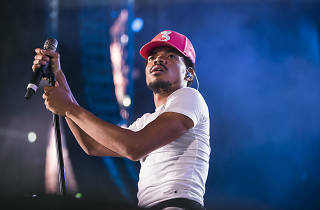 As for timing, we don't think Chance is going to try to go up against Lollapalooza (August 1–4), but he might host his fest during Pitchfork Music Festival (July 19–21), which also happens to occur on the same weekend as the inaugural Chicago edition of streetwear and hip-hop gather Complex Con. If not, there are plenty of weekends in August that Chance's fest could claim. Keep an eye out for additional details about Chance the Rapper's new fest and start speculating about all the special guests that might show up (aside from Kanye).